TRAN VAN KHE | DO YOU KNOW TRẦN QUANG HẢI – VIỆT NAM ? Hiến trọn cuộc đời nhạc xứ ta !!! Xin ti`m no+i dda^y danh sa’ch tuye^?n cho.n nhu+~ng nha.c si~ va` da^n to^.c nha.c ho.c gia o+? Vie^.t Nam hay ha?i ngoa.i . Tie^?u su+? va` sinh hoa.t a^m nha.c cu?a mo^~i ngu+o+`i co’ the^? ti`m tha^’y tre^n trang nha cu?a ho. Please find herewith some of famous Vietnamese musicians and ethnomusicologists in Vietnam and abroad . Each one is presented with a short bio . Their bio and activities can be found on their homepages respectively . Veuillez trouver ci-joint quelques musiciens et ethnomusicologues vietnamiens qui vivent au Viet Nam ou à l’étranger. Leur bio et leurs activités peuvent être lus sur leurs sites . Professor Tran Van Khe is one of the greatest masters of the traditional Vietnamese music. Born into a family with four generations of musicians, he was taught the musical tradition of the family by his paternal aunt Tran Ngoc Vien and his maternal uncle Nguyen Tri Khuong, having lost his parents at a very early age. Professor Tran Van Khe is a Doctor in Musicology; he carried out research at the Centre National de la Recherche Scientifique (C.N.R.S. ), has been a teacher at Paris-Sorbonne University, and is Honorary Member of the Conseil international de la musique (Unesco). His scientific research along with his activity in traditional music (participation in numerous festivals, several recordings edited with Ocora, l’Unesco and A.C.C.T.) have led to his receiving many distinctions and prizes from prestigious universities, academies and international institutions. He is able to play many Vietnamese instruments: dan kim or dan nguyet (moon-shaped lute), dan tranh (sixteen stringed zither), dan co or dan nhi (two-stringed fiddle), dan ty ba (pear-shaped, four stringed lute) and the trong nhac, ceremonial drum. He knows how to recite poems and sing in traditional styles of the North and the South. Professor Tran’s expertise includes all Asian music, particularly Indian, Persian, Chinese, Japanese and Arabic musical traditions. Having lived in Paris for about 50 years, and traveled world wide, lecturing and performing, he has played key role in introducing Asian music into the western world. In the past 50 years, He has produced a number of Ph. D.’s and tought several thousands of students all over the world. Website in English and French. He passed away in Vietnam on June 24th 2015. 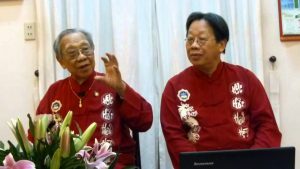 100 years-old Professor Nguyen Vinh Bao is widely admired not only for his scholarship in Vietnamese folk music but also his skill at using the computer as a teaching aid. Prof. Vinh Bao, who lives and works in Ho Chi Minh City, has been known for years as a keen amateur music teacher. Now, he has added another feather to his cap by learning how to use the internet at 90, and using this skill to teach his music to people around the world. On his desktop are symbols of musical software like Quickcame pro-5000, not something one would associate with nonagenarians. Bao gives lessons via the internet: he plays a musical instrument and his students watch him through a webcam. 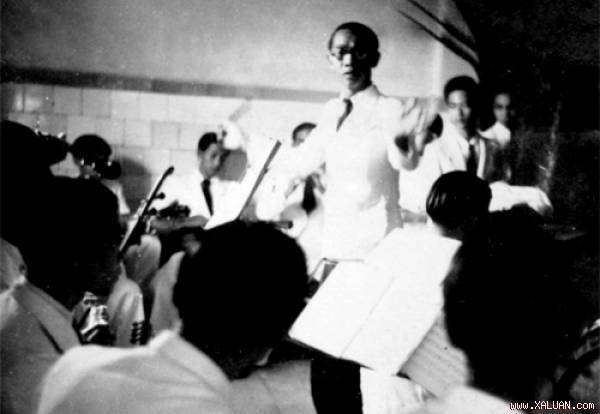 Master Vinh Bao is famous for creating a musical notation specific to folk music. “This notation system can help foreigners easily understand traditional music,” he points out. His students register to learn different instruments including the nhi (two-stringed fiddle), tranh (16-stringed zither), kim or nguyet (moon-shaped lute), guitar, and violin. “Teaching and learning as an amateur is not like other genres. It requires no systematic learning or textbooks. Both teachers and learners depend mainly on inspiration,” he says. One of Prof Vinh Bao’s students built a website for him at http://www.Vinhbaotheonly 1.net. The story behind his learning to use the computer at such an advanced age is an interesting one. “Three years ago, my daughter bought a computer. An idea flashed in my mind. I thought I must learn to use the computer for transmitting my knowledge,” he recalls. But it was not easy for him to learn because it was hard to find a teacher. “My family asked five people to teach me but four of them refused upon meeting me,” Bao says. “Perhaps, they thought that I was too old to learn. “I finally found a teacher – a person young enough to be my grandchild. However, this arrangement only lasted 15 days because of certain reasons. Bao took notes carefully while his proficiency in both English and French came in very useful. Before long, he was an expert in using a computer. Prof. Vinh Bao began playing folk music instruments at the age of five. By the time he was 10, he could himself make some of them. Because of his clear understanding of music and the nature of wood, he managed to turn the ancient 16-chord zither into the current 21-chord instrument, enhancing its melody. 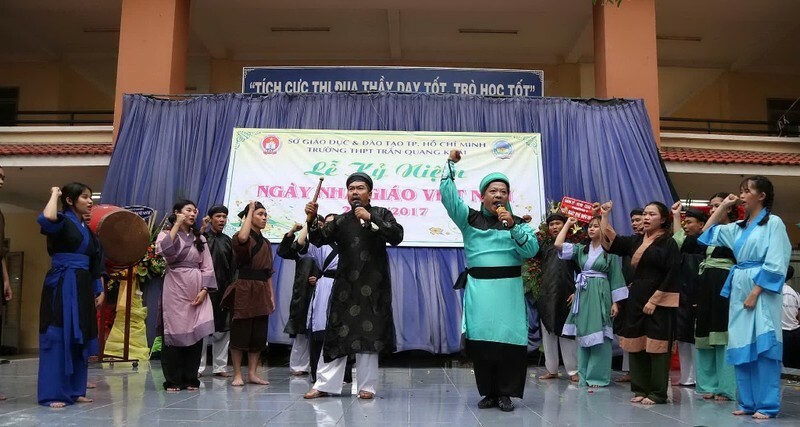 Among Viet Nam’s amateur musicians, Vinh Bao holds some kind of record for having the most number of teachers: he had more than 200 from whom he absorbed their specialities. 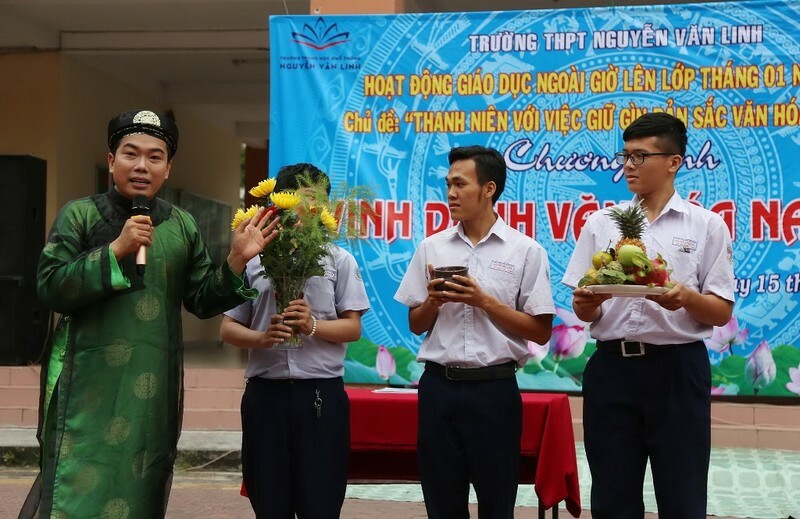 Dan Tranh – Vinh Bao was formed in 2004 by a group of students of Professor Vinh Bao. Dan Tranh – Vinh Bao’s mission is to preserve, develop and promote Vietnamese Traditional Music, especially Tradition of the South (Nhac Tai Tu Nam Bo), for people who love traditional music, and also building a bridge between Professor Vinh Bao’s students in many different states in US. Tran Quang Hai was born on May 13, 1944 in the country of Vietnam. He is a talented and renowned musician who comes from a family of five generations of musicians. 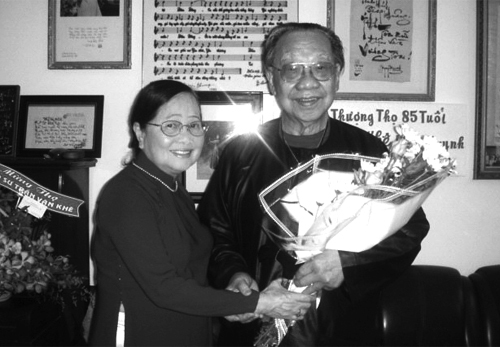 He studied at the Natoinal Conservatory of Music in Saigon before moving in 1961 to France, where he studied the theory and practice of Oriental music with his father Professor Dr. Tran Van Khe, at the Center of Studies for Oriental Music in Paris. 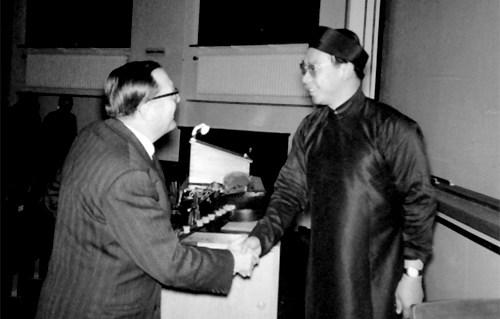 For several years, Tran Quang Hai also attended seminars on ethnomusicology at the School of High Studies for Social Sciences, and received Master of Arts and Ph.D. degrees. Since 1966, he has given over 3,000 concerts in 70 countries, and has taken part in approximately one hundred and thirty international traditional music festivals, as well as in radio and television broadcasts in Europe, America, Asia, Africa and Australia. He has been working for the National Center for Scientific Research in France since 1968, and is now attached to the Department of Ethnomusicology of the Musee de l’Homme. Also, from 1988 to 1995 he was a Lecturer on Southeast Asian music at the University of Paris X-Nanterre. He has been a guest lecturer of over one hundred Universities in the world. Apart from his artistic activities, he is also interested in musical research. He has improved the technique of spoon playing and of the Jew’s harp. 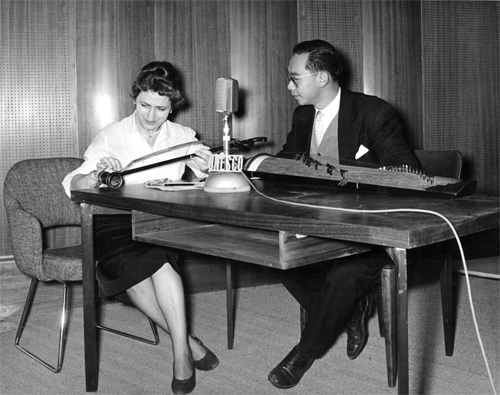 In 1970, he found by himself the key to the technique of overtone singing and has become the world famous expert of this peculiar split-tone singing khoomei well known in Tuva and Mongolia. During 1990 and 1991, he won four awards at the International Scientific Film Festivals in Estonia, France and Canada for his film “Le Chant des Harmoniques” (The Song of Harmonics) directed by Hugo Zemp. He is the co-author, actor and music composer of this film. He has written numerous articles on Vietnamese ans Asian music (New Grove Dictionary, Encyclopedia Universalis), and has also recorded 15 LPs 8 CDs, 4 video films, and 4 DVD. He composed more than four hundred pop songs, and musical pieces for 16 stringes zither dan tranh, monochord dan dôc huyên, Jew’s harp and overtone singing. 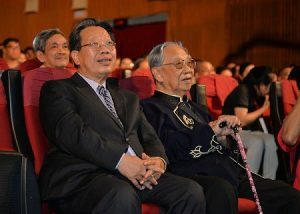 As a distinguished figure in his musical field, Tran Quang Hai has garnered more than 20 prizes and international awards. He has received a Gold Medal for music from the Asian Cultural Academy, and honorary doctorates from the International University Foundation and the Albert Einstein International Academy. He works with his wife, Bach Yen, who is a great Vietnamese pop and folk singer. Additionally, he was nominated President of the Jury of the Khoomei Throat Singing Festival in Kyzyl (Tuva) in 1995. He obtained the Cristal Medal of the National Center for Scientific Research in France in 1996, the Medal of Honor of the Limeil Brevannes city in France in 1998, and the Special Prize of the Jew’s Harp World Festival in Molln (Austria) in 1998.. In addition, he was the Honorary President of the Festival d’Auch “Eclats des Voix” in France in 1999, and of the Voice Music Festival of Perouges “Au Fil de la Voix” in France in 2000. His biography has been published in 30 Who’s Who reference books since 1979. . In 2002, he was decerned the title Chevalier de la Legion d’Honneur in France. He participated in the Jew’s Harp Festival in Molln (in 1998 and 2000), in Rauland – Norway (in 2002), in Amsterdam -the Netherlands . He is the founding member of the International Jew’s Harp Society . In 2005, he was elected as member of the Executive Board of the ICTM (Internatioanl Council for Traditional Music). To date, Dr. Tran Quang Hai is the only Vietnamese to have taken part as a performer or composer in such great historical events as Australia’s Bicentenary celebration in 1988, the Bicenterary of the French Revolution in Paris in 1989, the 700th Anniversary of the Discovery of America in 1992, 600 Years of Seoul-Korea in 1994, the Julilee of the King of Thailand in 1996, 1,000 Years of Trondheim in Norway in 1997, the 100th Anniversary of the Phonogramm Archiv of Berlin in Germany in 2000, and the Centenary of Independance of Norway in 2005. Figure de proue des mouvements de retour aux sources (Du Ca, Hoa Sim …), après son retour de la tournée en Europe, Phuong Oanh fonda L’Ecole de Musique Traditionnelle Vietnamienne Phuong Ca en 1970 à Saigon. 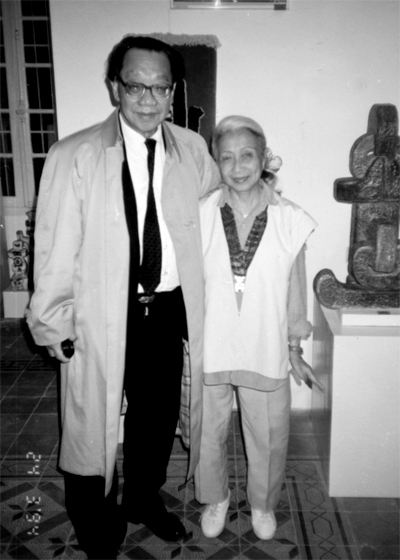 Elle était à l’époque déjà, l’un des rares professeurs de musique traditionnelle au Conservatoire National Supérieur de Saigon (1964-1975). Spécialiste de la musique dite de Hué, Phuong Oanh a collaboré avec les principaux organismes culturels de l’époque : radio, télévision. C’est avec les compositeurs Pham Duy, Nguyen Duc Quang, que Phuong Oanh a introduit la musique dite populaire dans les écoles, les universités. Recréé en Europe en 1976, par ses méthodes de travail, ses idées, Phuong Ca Dân Ca Quoc Nhac a rencontré un vif succès auprès des jeunes universitaires. En 1988, Phuong Oanh reçut la Médaille d’or de 1’Académie Culturelle de 1’Asie pour ses travaux sur la musique Vietnamienne. En 1994, elle reçoit la médaille du mérite pour ses travaux pour la musique traditionnelle pour les jeunes donc publication au journal officiel du Congrès Américain. Phuong Ca Dan Ca Quoc Nhac est le seul organisme non gouvernemental à présenter des candidats aux différents examens d’Etat en France. Ecole de Musique Traditionnelle Vietnamienne dirigée par Phuong Oanh, professeur de cithare à 16 cordes dàn tranh. Tieng Hat Que Huong was founded in 1981 by Pham Thuy Hoan, a professor from the Vietnamese National Conservatory in Saigon. Starting from primary school Trieu Thi Trinh Dist. 10 in Saigon, Tieng Hat Que Huong’s mission is to preserve, develop and promote Vietnamese Traditional Music for people who love traditional music and also building a bridge between the old and the new artists. * opening classes for dan tranh (the Vietnamese 16-stringed zither), dan bau (the monochord), dan nguyet (the moon-shaped lute), dan nhi (the 2-stringed fiddle), sao truc (the bamboo flute), folk song-learning classes every sunday morning at the City Labor Cultural Palace (55B Nguyen Thi Minh Khai, HCMC). The Khac Chi – Sounds of Vietnam features two of Vietnam’s premiere musicians, performing exquisite music on rare and unique instruments native to Vietnam. These virtuoso artists offer an intriguing glimpse into the rich musical tradition of Vietnam and its 4000-year history. Famous for their musical skills innovation throughout Vietnam, the Khac Chi takes you on an adventure in sound. Extremely versatile, their concerts may include a combination of styles or feature any one style of Vietnamese traditional music, Vietnamese folk music or contemporary music to world music. They are as equally comfortable performing solo chamber concerts, as they are on folk festival stages, or as guest soloists for symphony orchestras. Their rare talents and superb musicianship have won them numerous awards for excellence, as well as many invitations for international appearances. Pham Duc Thanh is a world-renowned musician known for his masterful ability on the Vietnamese one-stringed instrument (Dan Bau). He was born in 1958 in Ninh Binh , Vietnam . His talent was fully apparent from his youth: he was adept at the Chèo drumming style at age 4, he learned the mandolin at age 5, and he had begun playing Dan Bau (monochord) and Dan Nhi (2-string fiddle) at the age of 5. In 1974, Duc-Thanh left Hanoi to join the largest Cheo opera troupe in Vietnam and officially became a professional Dan Bau performer. At the end of 1978 he was the only Dan Bau musician of the Cheo opera stage to attend the national Dan Bau competition of Vietnam in Hanoi ; soon after, he went to Saigon to study further the music of central and southern Vietnam . In October of 1983, he graduated with top honors from the Center for Musical Research of Vietnam. It was here that he became recognized as one of the rising musicians on Dan Bau in traditional as well as modern music. Nguyet thuyêt Phong is a famous Vietnamese musician, ethnomusicologist, living in the Unites States . You can read his biography and his activities on his website in English . 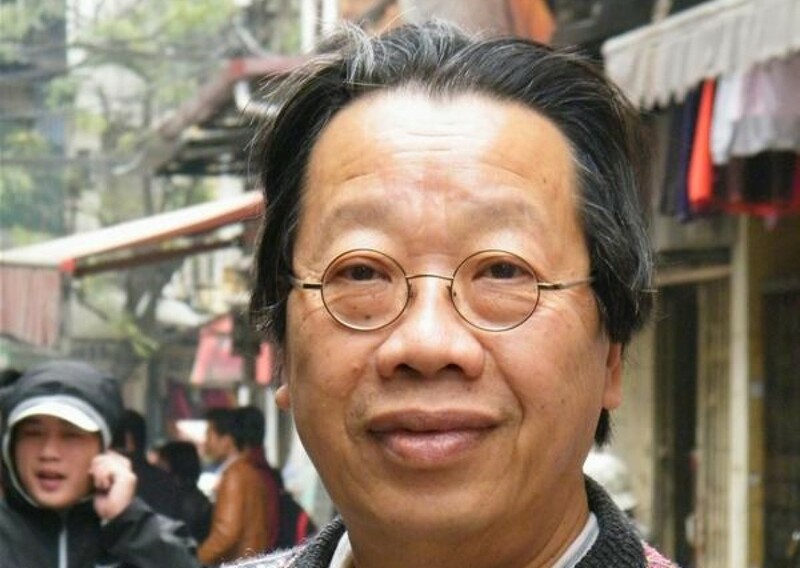 Le Tuan Hung is a composer, performer and musicologist, specialising in Vietnamese music, cross-cultural music and experimental music. He is a multi-instrumentalist with a strong background in Vietnamese traditional music and Western classical music. He has performed widely in Asia, Australia, Europe, America and Oceania. His compositions have been created for a wide range of instruments, ensembles and media. His compositions and performances have been released by Move Records, NMA, ABC Music and Australian Sound Heritage Association. 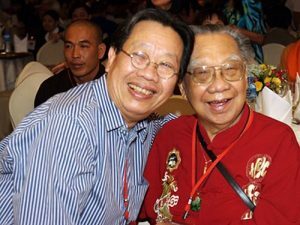 He is also the author of various publications on Vietnamese performing arts and is regarded as an expert in Vietnamese musicology. Apart from being trained as a traditional musician in the Vietnamese tradition, he also had a Bachelor of Music from the University of Melbourne and a PhD in Music from Monash University. Dang Kim Hien is a composer, performer and educator. She is a vocalist and multi-instrumentalist, specialising in Vietnamese strings and percussion. 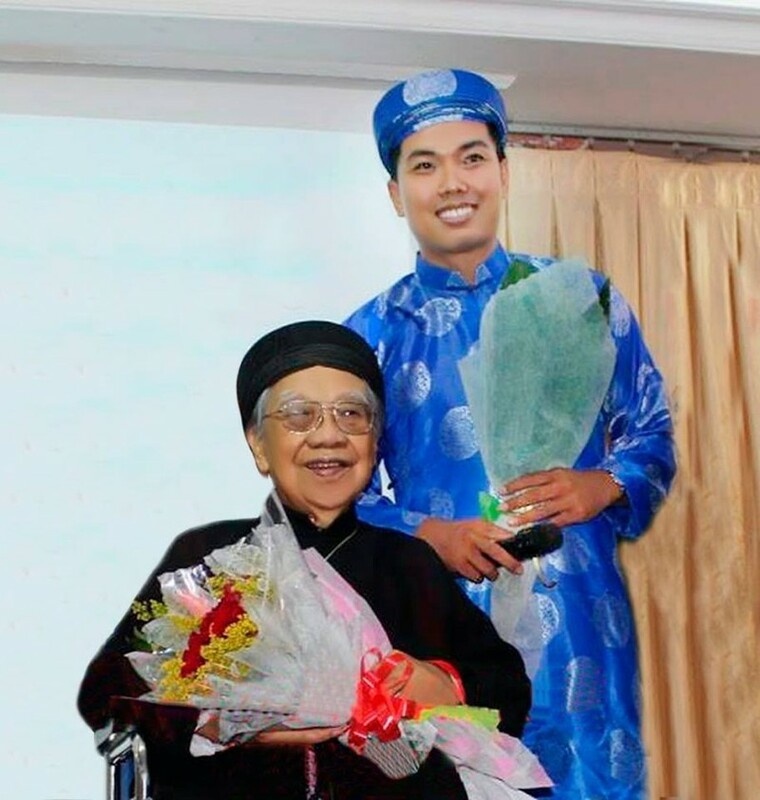 She holds many national awards from Vietnam, including a National Gold Medal for Excellence in Vietnamese Zither Performance and a National Award for Traditional Vocal Performance. She taught at the Department of Traditional Music of the Conservatory of Music in Saigon (Vietnam) between 1980 and 1994. Since migrating to Australia in late 1994, she has been active in performing Vietnamese music and creating cross-cultural music. She has collaborated with Australian composers and performers in creating various cross-cultural works. She has performed extensively to present her original works on international platforms. Her compositions and performances have been released on Move Records. orchestration. 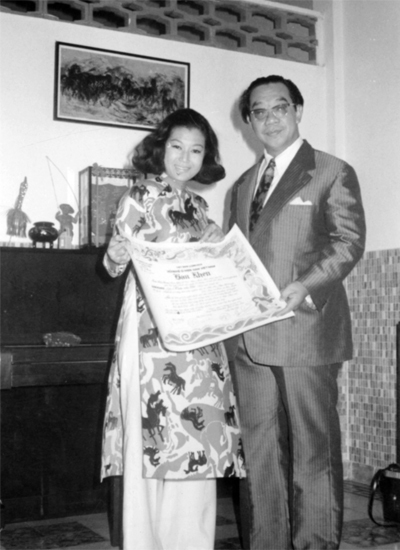 Upon graduation in 1967 he was selected by the Board of Directors of the National Conservatory of Music to teach Vietnamese traditional music. and was a member of delegations representing Vietnam in other countries. In addition to performing and teaching, professor Chau Nguyen also specializes in composing, scoring, arranging music for group and producing different forms of Vietnamese performing arts, including the new form of choral orchestra in traditional music. Professor Mai Nguyen is one of the founders and directors of the Lac Hong Performing Arts Group. Mrs. Mai Nguyen has an impressive musical background. She graduated in 1960 from the National Conservatory of Music in Saigon, where she specialized in the 16-string and pedagogy of music. She taught at the National Conservatory of Music in Saigon, the School of Theater Performing Arts and Gia Long High School until she escaped from Vietnam in 1977. Mrs. Nguyen continued her teaching career after relocating to Houston. She founded the Hoa Sim Group which participated in many festivals in the Vietnamese community and was involved with Voice of Freedom Radio. 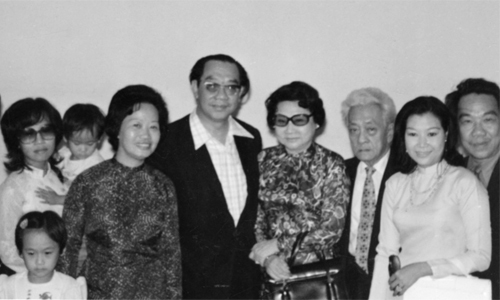 After moving to Orange County, Mrs. Nguyen continued to teach and formed a new Hoa Sim Group which later became the Lac Hong Performing Arts Group. Dance Master Luu Hong is from a family of dancing traditions. In his childhood, he learned tap dance and together with his brothers and sisters, established a family dance group and performed at dancing clubs in Vietnam. This dance group traveled far and wide and performed at theaters from Saigon to Hanoi with famous singers, actors, and actresses. to participate in the Dance Festival in Singapore among other Asian dance groups. In 1967, Dance Master Luu Hong was one of the founders of the Maxim Dance Group, a famous group well admired by public in Saigon. 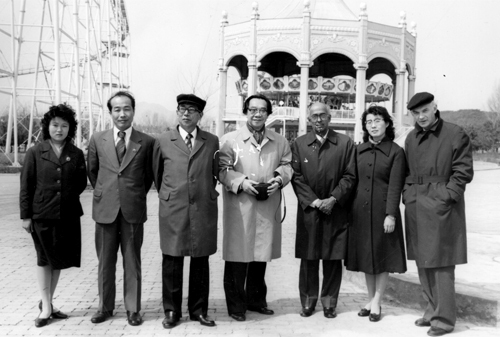 At that time, Master Luu Hong was designated to lead the Vietnamese dance group to perform at international festivals in Hong Kong, Japan, France, Morocco, England, South Africa, etc. 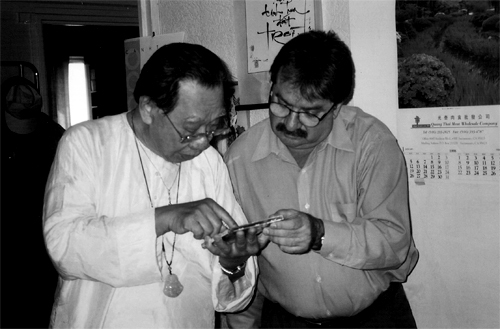 In 1975, Master Luu Hong left Vietnam and settled in Japan, and later in USA. Since then, Master Luu Hong has participated in many musical shows overseas, trained young generations of dancers, and has been a choreographer for many shows for video tapes. Master Luu Hong has given much of his time and talent in training and guiding the Lam Ty Ni and Long Hoa dance groups. At present Dance Master Luu Hong is re-establishing the Maxim Dance Group and cooperating with the Lac Hong Performing Arts Group to propagate the traditional cultural quintessence of Vietnamese music and dance to the young generation and to preserve and promote Vietnamese arts and culture in the USA. Vu Hong Thinh is an ethnomusicologist. Vu Hong Thinh began to study music at the age of ten and has since devoted his life to music and dan tranh. 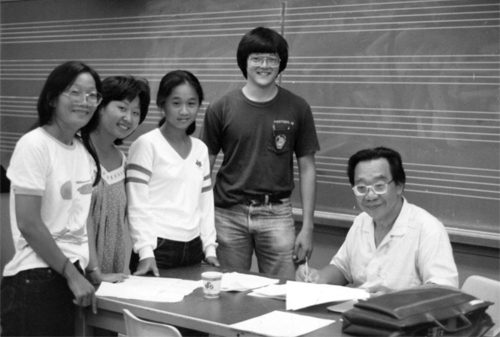 He graduated with distinction from the National Conservatory of Music in Hanoi, Vietnam, where he remained as a music professor for many years. He has performed in many countries, for major Vietnamese Music Concerts and Fund Raising efforts. Besides dan tranh, Thinh also performs on a variety of other traditional instruments such as the monochord (bau), the 36-string hammered dulcimer (dan tam thap luc), the bamboo xylophone (dan t’rung), the k’longput, and traditional drum (trong). 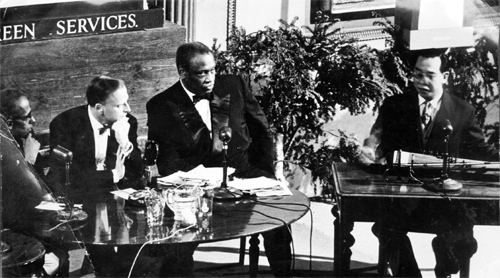 He has been featured in live televised concerts and broadcast recordings. Most recently he recorded and released his own CD “Nguyet Cam” as “The Art of Moon-Shaped Lute.” As a well-known expert in traditional Vietnamese music, he teaches dan tranh and other Vietnamese instruments throughout Northern California. He enjoys the opportunity to collaborate with other artists, such as Nguyen Dance Company, focused on sharing Vietnamese heritage with the community. Other musicians are mentioned here. Their bio will be found soon and will be surely put here. Nguyễn Đình Khánh và Trần Văn Khê. Từ thời học sinh, sinh viên cho đến khi trở thành nhà nghiên cứu âm nhạc, Giáo sư Trần Văn Khê luôn nhận được sự yêu quý, kính trọng của bạn bè, đồng nghiệp. Giáo sư Trần Văn Khê thời trẻ. Ông chỉ huy dàn nhạc trường Trương Vĩnh Ký (nay là trường Lê Hồng Phong, TP HCM) vào năm 1940. Ông thi đậu và nhận học bổng vào học Trung học Trương Vĩnh Ký từ tháng 9/1934, sống nội trú liên tục bảy năm. Năm học nào ông cũng đạt loại giỏi, xuất sắc. Ở năm học thứ tư, ông đoạt giải nhất cuộc thi viết luận về đề tài sự lễ phép và được phần thưởng du lịch ba miền đất nước. Kết thúc bảy năm học ở ngôi trường này, ông đoạt thủ khoa Tú tài toàn phần. Từ năm 1944 – 1949, Trần Văn Khê vừa làm giáo sư tư thục tại Sài Gòn và Cần Thơ, vừa làm ký giả báo Thần Chung và Việt Báo. Năm 1949, ông sang Pháp với nhiệm vụ phóng viên, từ đó bắt đầu quá trình học tập và làm việc lâu dài tại Pháp. 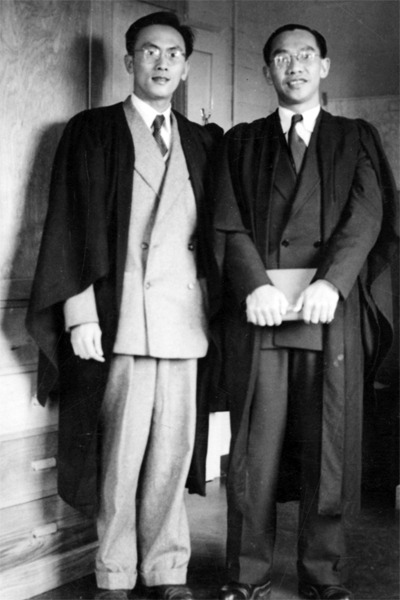 Năm 1950, Giáo sư Trần Văn Khê được mời sang Đại học Exeter ở miền nam nước Anh. Ông được người bạn tên Thân (trái) vận động nhà trường đài thọ chi phí cho chuyến đi. Ở đây, ông Khê có các buổi nói chuyện về nhạc Việt Nam truyền thống và tân nhạc cho sinh viên Anh rất thành công. 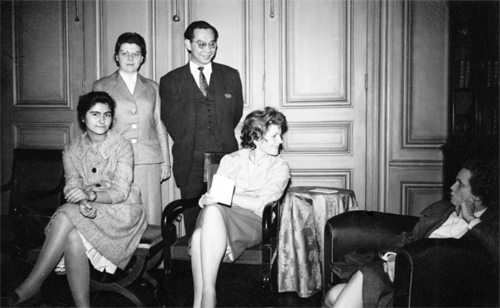 Năm 1953, Trần Văn Khê tại bệnh viện Centre Universitaire de cure a Airesurl’Adour (Pháp). Từ năm 1951 đến năm 1953, Trần Văn Khê phải nằm viện dành riêng cho sinh viên để dưỡng lao thận và điều trị nhiều loại bệnh khác. Nhờ nằm trị bệnh, cách ly với cuộc sống xã hội bên ngoài, ông có thời gian đọc sách và quyết định đi theo con đường nghiên cứu. 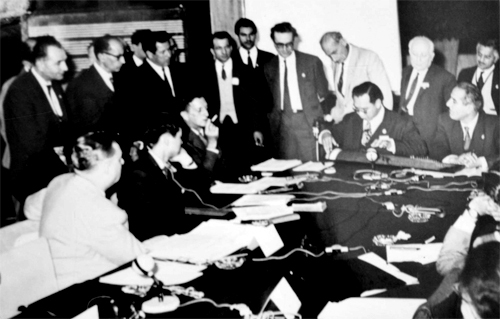 Năm 1958, Giáo sư Trần Văn Khê nói chuyện âm nhạc tại Thụy Sĩ. Vào tháng 6 năm này, ông bảo vệ thành công luận án Tiến sĩ chủ đề về « Âm nhạc truyền thống Việt Nam » của Đại học Sorbonne, Pháp. Từ đó, ông bước vào con đường nghiên cứu, giảng dạy, diễn thuyết liên tục tại Pháp và nhiều quốc gia. Năm 1958, ông tham gia Hội nghị quốc tế BATH tại Anh chủ đề « Ứng tác ứng tấu » về phong cách biểu diễn tùy hứng. Giáo sư Trần Văn Khê thuyết trình về cách rao trong nhạc Việt Nam. Năm 1959, tại UNESCO, bà Maryvonne Kendergi phỏng vấn Giáo sư Trần Văn Khê. 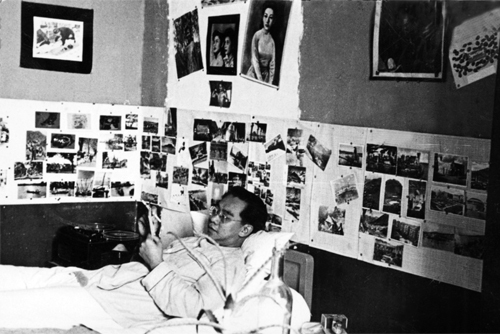 Năm 1960, Giáo sư Trần Văn Khê tại nhà Giáo sư Jacques Chailley. Jaques Chailley là người thầy Pháp dìu dắt Trần Văn Khê tận tình trên con đường nghiên cứu âm nhạc. 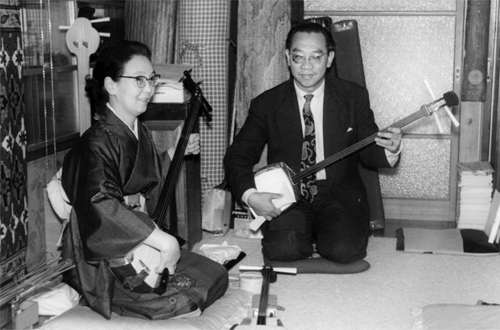 Năm 1961, bà Hirai Sumiko hướng dẫn Giáo sư Trần Văn Khê sử dụng đàn Shamisen của Nhật Bản. Giáo sư Khê là một trong thành viên chủ chốt Thành lập Trung tâm Nhạc học Đông phương tại Paris, chuyên dạy các môn âm nhạc truyền thống châu Á theo phương pháp truyền khẩu và truyền ngón. Vì thế, ông không chỉ am tường về nhạc dân tộc Việt Nam mà còn hiểu rõ về nhạc dân tộc nhiều nước châu Á, Trung Đông, phương Tây. 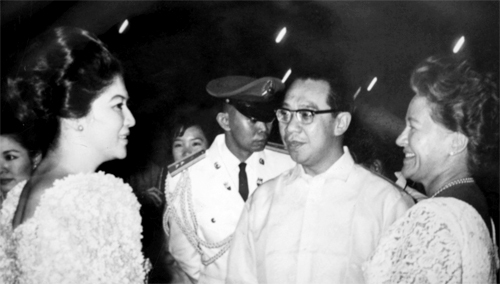 Năm 1968, Giáo sư Trần Văn Khê gặp mặt Đệ nhất Phu nhân Phillippines sau một buổi diễn thuyết thành công về âm nhạc. Năm 1969, tại Hội nghị Teheran, Giáo sư Trần Văn Khê thuyết trình có minh họa về âm nhạc truyền thống Việt Nam. Với vai trò nhà nghiên cứu âm nhạc quốc tế, Trần Văn Khê được mời giảng dạy nhạc học trong chuyên khoa nhạc dân tộc của Đại học Sorbonne Paris và nhiều đại học trên thế giới. Từ những năm 1968-1972, ông đặt cho mình trọng tâm nghiên cứu các loại hình kịch nghệ châu Á như: Kinh kịch của Trung Quốc, Nôh, Kabuki của Nhật Bản, Pansori (Triều Tiên), hát Chèo, hát Bội, hát Cải lương của Việt Nam. Sang Pháp học tập và trở thành nhà nghiên cứu từ năm 1949, đến năm 1974, Giáo sư Trần Văn Khê lần đầu tiên quay về Sài Gòn. Dịp này, ông nhận bằng khen và là Nghệ sĩ danh dự của Hội nghệ sĩ Ái Hữu. 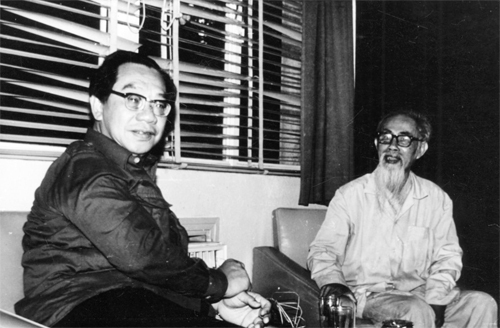 Năm 1974, gia đình và bạn bè ra đón Giáo sư Trần Văn Khê tại sân bay Tân Sơn Nhất, TP HCM. Từ phải qua: con gái Thủy Tiên của ông bế cháu ngoại Đào Tiên, bà Nguyễn Thị Sương (vợ Giáo sư Khê), Giáo sư Khê, nghệ sĩ Phùng Há, nghệ sĩ Năm Châu, nghệ sĩ Kim Cương, em trai Trần Văn Khê – Trần Văn Trạch. Bà Nguyễn Thị Sương qua đời năm 2014. Ông Trạch mất năm 1994, ông là ca sĩ và được mệnh danh là quái kiệt của làng nhạc Sài Gòn thời trước. Năm 1977, Giáo sư Trần Văn Khê và nhạc sư Vĩnh Bảo khóc tại Nhạc hội cải lương tài tử diễn ra ở Sài Gòn. 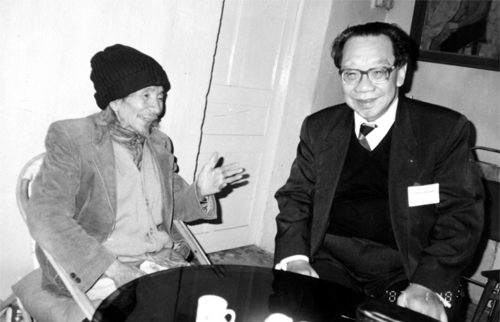 Năm 1979, Giáo sư Trần Văn Khê gặp gỡ cụ Đào Duy Anh tại TP HCM. Năm 1983, Giáo sư Trần Văn Khê tại Đại học Hawaii, Mỹ. 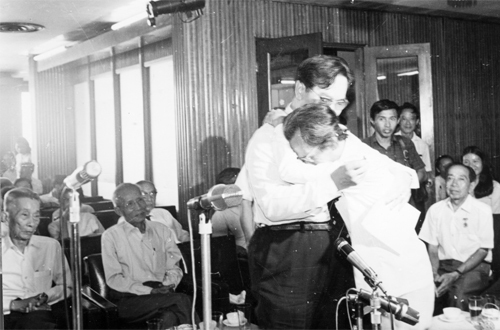 Năm 1963, Giáo sư Trần Văn Khê tại Bình Nhưỡng dự diễn đàn Âm nhạc châu Á.
Năm 1987, Giáo sư Trần Văn Khê và nhạc sĩ Văn Cao. 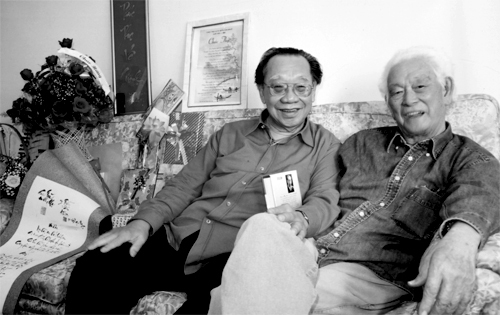 Năm 1990, Giáo sư Trần Văn Khê gặp gỡ Giáo sư John Balaban (nhà thơ Mỹ, người từng chuyển ngữ thơ Hồ Xuân Hương). Giáo sư Khê và nhà điêu khắc Điềm Phùng Thị. Cả hai có nhiều kỷ niệm từ thời ông còn là sinih viên Trường Thuốc Hà Nội. Giáo sư Trần Văn Khê bên người bạn thân thiết – nhạc sĩ Phạm Duy. Năm 2005, nhà thơ Tôn Nữ Hỷ Khương mừng thọ 85 tuổi của Giáo sư Trần Văn Khê. Trong di nguyện của mình, Giáo sư Khê mời ông Bá Thùy – chồng bà Hỷ Khương – nằm trong tiểu ban tang lễ lo chuyện hậu sự cho ông.